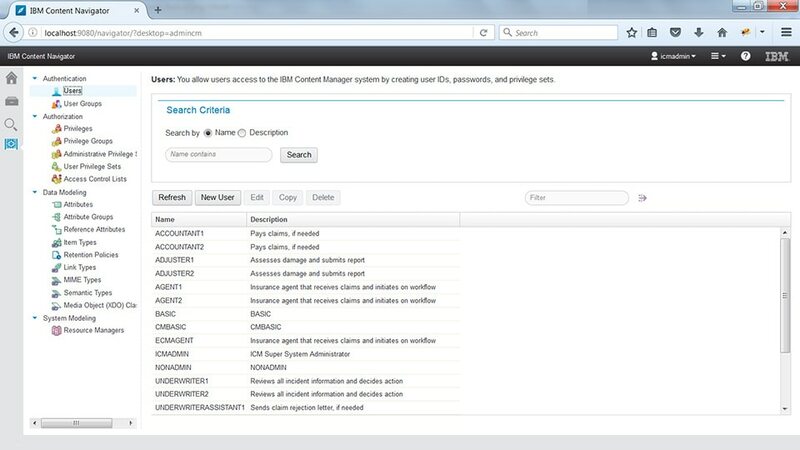 IBM Content Manager software manages content such as electronic office documents, images, audio, and video, while maintaining compliance requirements. Built-in content migration enables policy-based storage. Migrate content to archive storage after two years, or migrate to alternate storage pool when available free storage falls below five percent. Get content encryption for content in transit or in storage. Centrally-managed user authentication and flexible access control for authorization checks helps govern users access to content. Retention policies may be defined for different document classes to control document lifecycle. Set up time-based or event-based document retention. Auto-purge documents after their retention period. Content in Content Manager can be accessed anytime via web or mobile interface through IBM Content Navigator and IBM Navigator Mobile app for iOS and for Android. This will help you improve business agility and execute on content based business cases on the go. A unified and customizable user interface makes for a seamless user experience to improve productivity and customer engagement. Sensitive information in documents may be permanently redacted and saved into the repository. This adds to privacy and security management of your content and enables you to be compliant with personal information protection laws such as Europe’s General Data Protection Regulation (GDPR).